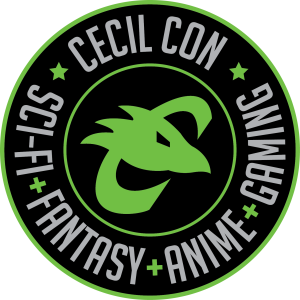 A team of professional photographers will be taking cosplay photographs of our attendees in the official Cecil Con 2019 Photobooth area. We will email each attendee ALL of their photos that they had taken during the convention. You must provide your name and email at the time of your photo in order to receive your images later in the week. All photobooth equipment is borrowed from Cecil College and Grunge Muffin Designs. We ask that all attendees be respectful and mindful of their behavior in or around the Photobooth area and equipment. • This equipment is to be used by paying customers only. • Even though these images will be paid for, they still need to be appropriate for the convention. No suggestive or vulgar gestures or poses are allowed. If you’re unsure, please ask. • No sharp props that may rip or tear the backdrop. • No liquids, open containers, paint, glitter, etc. We want to keep the backdrop clean and usable for other attendees. If you’re wearing body paint then you must do a standing pose. • No muddy shoes. Please check shoes before stepping onto the backdrop. There’s nothing we love more than showing off the AWESOME cosplays from year’s past. 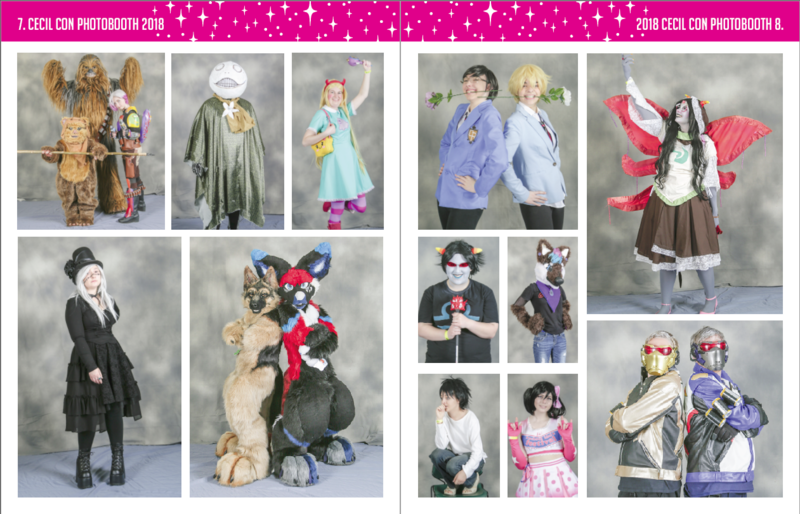 Take a look at who officially made it into our 2019 convention booklet. If you have a cosplay you really want to show off- and if you want to make it into our next convention booklet, make sure you get your photo taken at the official Cecil Con Photobooth during the convention. This year the hours are Friday 4-8pm and Saturday 10-6pm.